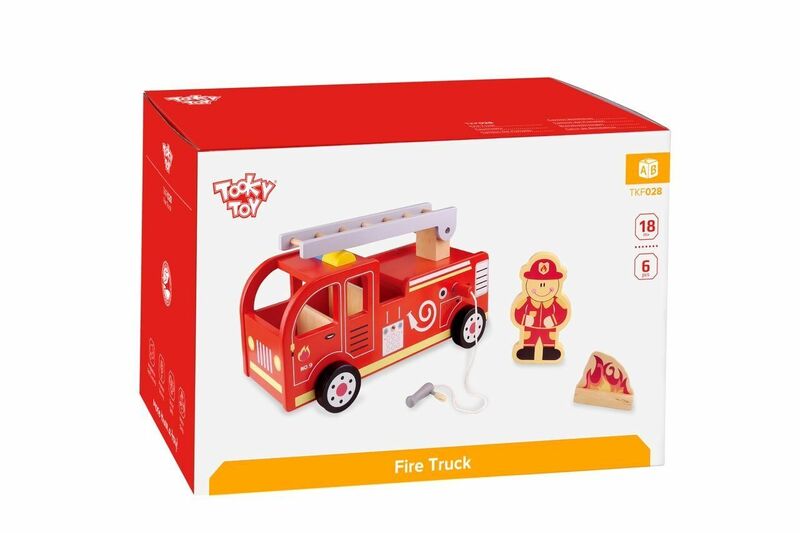 Help the fire fighter unroll the hose and lift the ladder! Decorated with child safe paints. 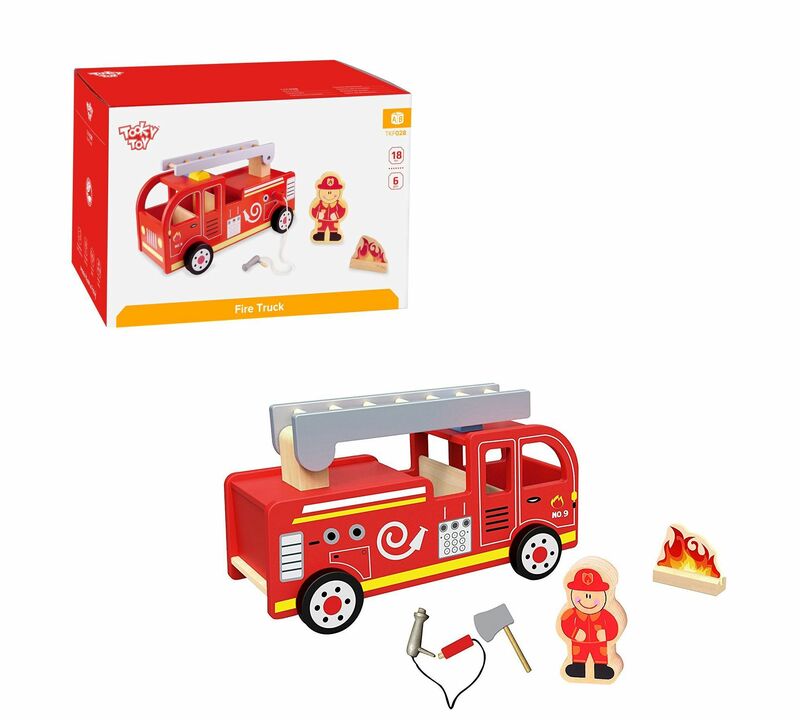 Includes fire truck with lifting ladder, fire fighter, fire hose axe & “flames”. 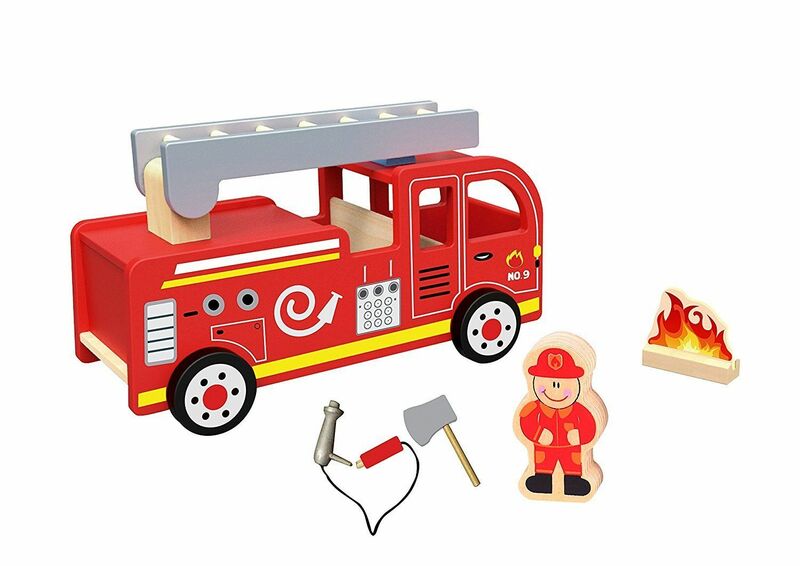 Encourages imagination, creativity, social skills, and motor skills. Remove all packaging before you give the toy to a child. PLEASE keep all relevant information for future use.